We reserve the right to restrict access to, modify or discontinue this Website, and information, content or functionality on and any products or services provided on the Website, in our sole discretion at any time, for any or no reason, and without notice or liability. We will not be liable if for any reason all or any part of the Website is unavailable at any time or for any period. From time to time, we may restrict access to some parts of or the entire Website. We may update the content on this Website from time to time, but its content is not necessarily complete or up-to-date. Any of the material on the Website may be out of date at any given time, and we are under no obligation to update such material. If you choose, or are provided with, a user name, password or any other piece of information as part of our security procedures, you must treat such information as confidential, and you must not disclose it to any other person or entity. You also acknowledge that your account is personal to you and agree not to provide any other person with access to this Website or portions of it using your user name, password or other security information. You agree to notify the Company immediately of any unauthorized access to or use of your user name or password or any other breach of security. You also agree to ensure that you exit from your account at the end of each session. You should use particular caution when accessing your account from a public or shared computer so that others are not able to view or record your password or other personal information. You may take actions enabled by any social media features provided on or through the Website. Use any illustrations, photographs, video or audio sequences or any graphics separately from the accompanying text without our express written consent. Access or use for any commercial purposes any part of the Website or any information, content, products or services available through the Website without our express written consent. The Company name, the Company logo, and all related names, logos, product and service names, designs and slogans are trademarks of the Company or its affiliates or licensors. Greater Raleigh Sports Alliance, GRSA and the star logo design and the visitRaleigh logo design are registered trademarks of the Greater Raleigh Convention and Visitors Bureau. You must not use such marks without the prior written permission of the Company. All other names, logos, product and service names, designs and slogans on this Website are the trademarks of their respective owners. For more information, see the Raleigh, N.C., Brand Kit. To engage in any other conduct that restricts or inhibits anyone&apos;s use or enjoyment of the Website, or which, as determined by the Company, may harm the Company or users of the Website or expose them to liability. Use the Website in any manner that could disable, overburden, damage or impair the Website or interfere with any other party&apos;s access to or use of the Website, including their ability to engage in real time activities through the Website. Engage in any data harvesting, data extraction or similar activity of the Website. Without limiting the foregoing, we have the right to fully cooperate with any law enforcement authorities or court order requesting or directing the Company to disclose the identity or other information of anyone accessing or using the Website. YOU WAIVE AND HOLD HARMLESS THE COMPANY, ITS AFFILIATES, LICENSORS AND SERVICE PROVIDERS, AND ITS AND THEIR OFFICERS, DIRECTORS, SHAREHOLDERS, EMPLOYEES, CONTRACTORS, AGENTS, LICENSORS, SUPPLIERS, AND SUCCESSORS AND ASSIGNS FROM ANY CLAIMS RESULTING FROM ANY ACTION TAKEN BY ANY OF THE FOREGOING PARTIES DURING OR AS A RESULT OF ITS INVESTIGATIONS AND FROM ANY ACTIONS TAKEN AS A CONSEQUENCE OF INVESTIGATIONS BY EITHER SUCH PARTIES OR LAW ENFORCEMENT AUTHORITIES. However, we cannot review all material before it is posted on the Website, such as third party advertising or hacking, and cannot ensure prompt removal of objectionable material after it has been posted. Accordingly, we assume no liability for any action or inaction regarding transmissions, communications or content provided by any user or third party. We have no liability or responsibility to anyone for performance or nonperformance of the activities described in this section. You may link to our homepage or other public webpages of the Website, provided you do so in a way that is fair and legal and does not damage our reputation or take advantage of it, but you must not establish a link in such a way as to suggest any form of association, approval or endorsement on our part without our express written consent. You agree to cooperate with the Company in causing any unauthorized framing or linking immediately to cease. We encourage you to contact the Company for suggestions as to which webpages of the Website may best serve as links. We reserve the right to withdraw linking permission and may disable any links in our sole discretion at any time, for any or no reason, and without notice or liability. Link to any part of the Website other than the homepage or other public webpages of the Website. You understand that we cannot and do not guarantee or warrant that files available for downloading from the internet or the Website will be free of viruses or other destructive code. You are responsible for implementing sufficient procedures and checkpoints to satisfy your particular requirements for anti-virus protection and accuracy of data input and output, and for maintaining a means external to the Website for any reconstruction of any lost data. WE WILL NOT BE LIABLE FOR ANY LOSS OR DAMAGE CAUSED BY A DISTRIBUTED DENIAL-OF-SERVICE ATTACK, VIRUSES OR OTHER TECHNOLOGICALLY HARMFUL MATERIAL THAT MAY INFECT YOUR COMPUTER EQUIPMENT, COMPUTER PROGRAMS, DATA OR OTHER PROPRIETARY MATERIAL DUE TO YOUR USE OF THE WEBSITE, ITS INFORMATION OR CONTENT AND ANY PRODUCTS OR SERVICES OBTAINED THROUGH THE WEBSITE OR TO YOUR DOWNLOADING OF ANY MATERIAL POSTED ON IT, OR ON ANY WEBSITE LINKED TO IT. YOUR USE OF THE WEBSITE, ITS INFORMATION OR CONTENT AND ANY PRODUCTS OR SERVICES OBTAINED THROUGH THE WEBSITE IS AT YOUR OWN RISK. THE WEBSITE, ITS INFORMATION OR CONTENT AND ANY PRODUCTS OR SERVICES OBTAINED THROUGH THE WEBSITE ARE PROVIDED ON AN "AS IS", "WITH ALL FAULTS", AND "AS AVAILABLE" BASIS, WITHOUT ANY WARRANTIES OF ANY KIND, EITHER EXPRESS OR IMPLIED. NEITHER THE COMPANY NOR ANY PERSON ASSOCIATED WITH THE COMPANY MAKES ANY WARRANTY OR REPRESENTATION OF ANY KIND WITH RESPECT TO THE WEBSITE, ITS INFORMATION OR CONTENT AND ANY PRODUCTS OR SERVICES OBTAINED THROUGH THE WEBSITE OR RESULTS FROM USE OF THE FOREGOING, INCLUDING THE FUNCTIONALITY, COMPLETENESS, SECURITY, RELIABILITY, INTEGRITY, QUALITY, LEGALITY, USEFULNESS, SAFETY, ACCURACY OR AVAILABILITY OF THE WEBSITE, ITS INFORMATION OR CONTENT AND ANY PRODUCTS OR SERVICES OBTAINED THROUGH THE WEBSITE. WITHOUT LIMITING THE FOREGOING, NEITHER THE COMPANY NOR ANYONE ASSOCIATED WITH THE COMPANY REPRESENTS OR WARRANTS THAT THE WEBSITE, ITS CONTENT OR ANY SERVICES OR ITEMS OBTAINED THROUGH THE WEBSITE OR RESULTS FROM USE OF THE FOREGOING WILL BE ACCURATE, RELIABLE, TIMELY, SECURE, ERROR-FREE OR UNINTERRUPTED, THAT DEFECTS OR ERRORS WILL BE CORRECTED, THAT THE WEBSITE OR THE SERVER THAT MAKES IT AVAILABLE ARE FREE OF VIRUSES OR OTHER HARMFUL COMPONENTS OR THAT THE WEBSITE, ITS INFORMATION OR CONTENT AND ANY PRODUCTS OR SERVICES OBTAINED THROUGH THE WEBSITE WILL OTHERWISE MEET YOUR NEEDS OR EXPECTATIONS. THE FOREGOING DOES NOT AFFECT ANY WARRANTIES WHICH CANNOT BE EXCLUDED OR LIMITED UNDER APPLICABLE LAW. TO THE EXTENT ANY SUCH WARRANTY MAY NOT BE DISCLAIMED, ANY SUCH WARRANTY IS HEREBY LIMITED TO THE MINIMUM DURATION AND EXTENT ALLOWED UNDER APPLICABLE LAW. YOU HEREBY RELEASE (AND SPECIFICALLY WAIVE AND RELINQUISH ALL RIGHTS UNDER ANY LAW LIMITING GENERAL RELEASES), WAIVE AND HOLD HARMLESS THE COMPANY, ITS AFFILIATES, LICENSORS AND SERVICE PROVIDERS, AND ITS AND THEIR OFFICERS, DIRECTORS, SHAREHOLDERS, EMPLOYEES, CONTRACTORS, AGENTS, LICENSORS, SUPPLIERS, AND SUCCESSORS AND ASSIGNS FROM ALL LIABILITY, LOSSES, COSTS, EXPENSES, JUDGMENTS, AWARDS AND DAMAGES (INCLUDING ALL REASONABLE ATTORNEYS&apos; FEES, COSTS AND EXPENSES, INCLUDING COURT OR ARBITRAL COSTS) AND ANY CLAIM, ACTION, SUIT, OR PROCEEDING (INCLUDING ASSERTION OF THE FOREGOING OR SETTLEMENT THEREOF) EITHER ACTUALLY OR ALLEGEDLY ARISING FROM OUT OF OR IN CONNECTION WITH YOUR USE, OR INABILITY TO USE, THE WEBSITE, ANY WEBSITES LINKED TO IT, ANY INFORMATION, CONTENT, ERRORS, OR OMISSIONS ON THE WEBSITE OR SUCH OTHER WEBSITES OR ANY PRODUCTS OR SERVICES OBTAINED THROUGH THE WEBSITE OR SUCH OTHER WEBSITES, INCLUDING BUT NOT LIMITED TO ANY LOSS OF DATA OR DAMAGE TO YOUR COMPUTER OR OTHER DEVICE, INCLUDING FROM VIRUSES OR VIRUSES OR OTHER DESTRUCTIVE CODE. THE COMPANY EXPRESSLY DISCLAIMS ALL LIABILITY, AND REGARDLESS OF CAUSE OR THEORY OF RECOVERY, WHETHER CAUSED BY TORT (INCLUDING NEGLIGENCE), BREACH OF CONTRACT OR OTHERWISE, EVEN IF FORESEEABLE OR IF THE COMPANY HAS BEEN ADVISED OF THE POSSIBILITY OF LIABILITY OR DAMAGES, IN NO EVENT WILL THE COMPANY, ITS AFFILIATES, LICENSORS AND SERVICE PROVIDERS, AND ITS AND THEIR OFFICERS, DIRECTORS, SHAREHOLDERS, EMPLOYEES, CONTRACTORS, AGENTS, LICENSORS, SUPPLIERS AND SUCCESSORS AND ASSIGNS BE LIABLE FOR DAMAGES OF ANY KIND, UNDER ANY LEGAL THEORY, ARISING OUT OF OR IN CONNECTION WITH YOUR USE, OR INABILITY TO USE, THE WEBSITE, ANY WEBSITES LINKED TO IT, ANY INFORMATION OR CONTENT ON THE WEBSITE OR SUCH OTHER WEBSITES OR ANY PRODUCTS OR SERVICES OBTAINED THROUGH THE WEBSITE OR SUCH OTHER WEBSITES, INCLUDING ANY DIRECT, INDIRECT, SPECIAL, INCIDENTAL, EXEMPLARY, RELIANCE, CONSEQUENTIAL OR PUNITIVE DAMAGES, INCLUDING BUT NOT LIMITED TO, PERSONAL INJURY, PAIN AND SUFFERING, EMOTIONAL DISTRESS, BUSINESS INTERRUPTION, LOSS OF OR DAMAGE TO REPUTATION OR GOODWILL, LOSS OF REVENUE, LOSS OF PROFITS, LOSS OF BUSINESS OR ANTICIPATED SAVINGS, LOSS OF USE, LOSS OF GOODWILL, LOSS OF INFORMATION OR DATA, OR OTHER LOSS OR DAMAGE ARISING OUT OF YOUR USE OF THE WEBSITE, AND ANY SUCH LIABILITY OR DAMAGES COLLECTIVELY SHALL NOT EXCEED THE TOTAL AMOUNT PAID BY YOU TO THE COMPANY ONE (1) YEAR BEFORE THE CLAIM OR CAUSE OF ACTION FOR SUCH LIABILITY OR DAMAGES ACCRUES. THE FOREGOING DOES NOT AFFECT ANY LIABILITY WHICH CANNOT BE EXCLUDED OR LIMITED UNDER APPLICABLE LAW. TO THE EXTENT ANY SUCH LIABILITY MAY NOT BE DISCLAIMED, ANY SUCH LIABILITY IS HEREBY LIMITED TO THE MINIMUM AMOUNT ALLOWED UNDER APPLICABLE LAW. If you believe that anything on the Website violates your copyright, please send us a notice of copyright infringement pursuant to 17 U.S.C. 512(c) to the contact information below. It is the policy of the Company to terminate the user accounts of repeat infringers. Our Website is not intended for children under 13 years of age. No one under age 13 may provide any information to or on the Website. We do not knowingly collect personal information from children under 13. If you are under 13, do not (a) use or provide any information on this Website or on or through any of its features, (b) register on the Website, (c) make any purchases through the Website, (d) use any of the interactive or public comment features of this Website or (e) provide any information about yourself to the Company, including your name, address, telephone number or e-mail address. If we learn we have collected or received personal information from a child under 13 without verification of parental consent, we will delete that information. If you believe we might have any information from or about a child under 13, please contact the Company as provided below. Information that you provide by filling in forms on our Website. This includes information provided at the time of registering to use our Website, subscribing to our service, posting material or requesting further services. We may also ask you for information when you enter a contest or promotion sponsored by the Company, and when you report a problem with our Website. Records and copies of your correspondence (including e-mail addresses), if you contact the Company. To provide you with information, products or services that you request from the Company. To carry out our obligations and enforce our rights arising from any contracts entered into between you and the Company, including for billing and collection. We may also use your information to contact you about our own and third-parties&apos; goods and services that may be of interest to you. If you do not want the Company to use your information in this way, you can opt-out by sending the Company an e-mail stating your request, as provided below. We may use the information we have collected from you to enable the Company to display advertisements to our advertisers&apos; target audiences. Even though we do not disclose your personal information for these purposes without your consent, if you click on or otherwise interact with an advertisement, the advertiser may assume that you meet its target criteria. Disclosure of Your Information for Third-Party Advertising. If you do not want the Company to share your personal information with unaffiliated or non-agent third parties for promotional purposes, you can opt-out by sending the Company an e-mail stating your request to visit@visitRaleigh.com. Promotional Offers from the Company. If you do not want to have your contact information used by the Company to promote our own or third parties&apos; products or services, you can opt-out by sending the Company an e-mail stating your request to visit@visitRaleigh.com. If we have sent you a promotional e-mail, you may send the Company a return e-mail asking to be omitted from future e-mail distributions. This opt out does not apply to information provided to the Company as a result of a product purchase, warranty registration, product service experience or other transactions. Targeted Advertising. 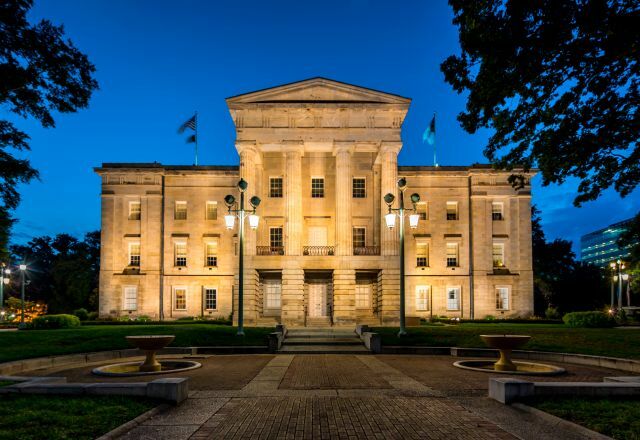 If you do not want the Company to use information that we collect or that you provide to the Company to deliver advertisements according to our advertisers&apos; target-audience preferences, you can opt-out by sending the Company an e-mail stating your request to visit@visitRaleigh.com. Advertising While in Raleigh, N.C. If you do not want cookies allowing the Website to serve advertisements while you are in Raleigh, N.C., and collect aggregate information upon your arrival, you can opt-out here. You may also send the Company an e-mail at visit@visitRaleigh.com, or mail or call to the contact information below to request access to, correct or delete any personal information that you have provided to the Company. We cannot delete your personal information except by also deleting your user account. We may not accommodate a request to change information if we believe the change would violate any law or legal requirement or cause the information to be incorrect. The videos published on the Website are designed to display some of the wonderful places, events and scenery of the Raleigh, N.C., destination. People shown in the video features were filmed enjoying the area&apos;s public places or filmed on private property with full permission of the property owner. Their appearance in a video does not constitute actual or implied endorsement of the Website or the Company. California Civil Code Section § 1798.83 permits users of the Website that are California residents to request certain information regarding our disclosure of personal information to third parties for their direct marketing purposes. To make such a request, you may contact the Company at the contact information below.